Earlier this year, Apple’s iMac Pro was introduced to the world. It is a high end product that is to help professionals, and has piqued the interest of those that had hated on its predecessor, the iMac. The latest iMac, before the upcoming iMac Pro, was released in 2014. To try to compete, Microsoft released its Surface Studio in late 2016, and it quickly beat its competition. The Surface Studio was considered much better than the iMac ever was. Microsoft and Apple are two very big companies that have produced technology based products for years. It makes sense that they would compete so closely with one another. Apple, the true competitor that it is, decided to revamp the iMac and put as much as it could into it. The iMac Pro, unlike its predecessor, has the capabilities that can actually rival, and maybe defeat, Surface Studio. While the iMac Pro has not actually been fully released, we do know quite a lot about it, so I would like to do a side-by-side comparison of the two to help end the fight. Which one truly is better? Well, let’s see, shall we? First I would like to explain more about what each product is, in case anyone is confused about the history or the abilities the two have. Then I will get down to business and actually discuss them side by side. What is Apple’s iMac Pro? Previous Versions – The iMac Pro is a revamped version of Apple’s iMac, which we have seen quite a few versions of since the initial release of the iMac in 1998. There has been the PowerPC-based original, the G3, the G4, the G5, aluminum, unibody, slim unibody, and the slim unibody with Retina 5K display. These all spanned from 1998 to 2014, with the iMac Pro now appearing in 2017. Recommended for/Who Should Buy: The iMac is Apple’s most powerful iMac and is designed for, but not exclusively, professional users that need the space, speed, and power of the iMac for their huge projects. It seems to be geared more towards animators and other content creators that have used macOS before. It is an all-in-one so it can be used for essentially anything if you have the money to buy it. What is Microsoft’s Surface Studio? 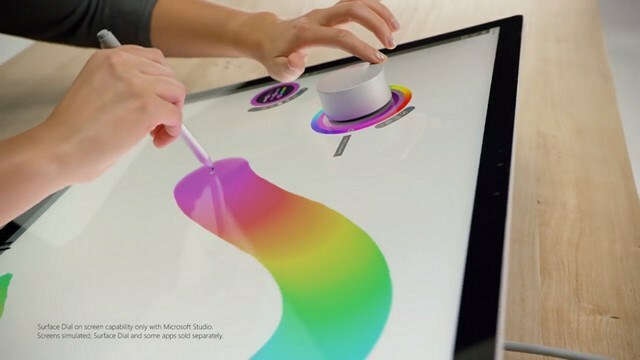 Previous Versions – It is the first Surface Studio that Microsoft made, but was part of a Surface series of Windows-based computers and computer-based things. This included the Surface hybrid tablets, Surface Laptop, Surface Book (notebook), Surface Pro, and the Surface Hub interactive whiteboard for collaborative projects. Recommended for/Who should buy: Much like the iMac Pro, Microsoft gears the Surface Studio towards professionals that need all-in-one computers for their hard jobs. It is powerful, has a lot of storage, and comes with accessories that make it perfect for artists and graphic designers. While iMac works better for 3D animators and rendering, this one seems to work better for artists that prefer working on touchscreens. As mentioned though, it is not exclusively for artists and can be used by just about anyone that has the money for it. Which is better, and at what? iMac Pro – The iMac pro weighs 21.5 pounds due to its light build and slim design. It is slim, with the thinnest edge reaching only 5mm, and still has the same all-aluminum design that has lasted quite a few years, and a few versions of the iMac. While it is slim, the hardware lies behind the screen display. The iMac Pro, like some of the other Mac’s, comes in a “space grey” color that was well liked by the public when it was introduced with the MacBook Pro. This light color is quite refreshing compared to the usual white or black that is found in stores. It breaks the monotony at least a little bit. It is not that much different than its predecessors, so some are disappointed. Apple could have tried to outdo itself by reaching for the stars and trying other things out, or improving the issues that came with the others, such as; the bezels, which, for some reason, stay the same at the bottom. A thick bottom can make the computer look clunky and out of date. Considering that it is 2017 and many other computers have decided to minimize the bezels on their products, you would think that Apple would to. Surface Studio – While the Surface Studio features a similar aluminum design, it decided to add hinges that are chrome. The idea of not having it be all-aluminum makes it look quite different than other products, such as the iMac. It brings out the build and emphasizes the professional design. These hinges actually let the person using the device tilt it about 20% to help with their project. To make it different than the iMac, it decided to have the hardware be in the base unit rather than behind the screen. This, as well as the lack of annoying bezels, makes it look more appealing and professional. Overall, it is quite clear that Microsoft did do a better job when designing its product. Winner of this round – Surface Studio! Another important factor when considering which device to get is the storage; how fast it is and how much of it you get. Having big projects mean needing enough storage to keep the projects saved and not have to worry. Having to erase a lot can be quite a nuisance. Yes, you can probably buy external hard drives and find other ways to save your files, but initial storage can help aid in your decision. iMac Pro – The iMac Pro storage system is able to be configured if you are not completely satisfied, so while it originally has a 1 TB NVMe SSD, you can have up to a whopping 4 TB. This is quite powerful and fast, so it is definitely the better options of the two. It is faster than the Surface Studio storage system. Surface Studio – Many are disappointed in the storage options available for the Surface Studio, as they are not what you would want for a device that is worth thousands of dollars. The storage system only has Hybrid Drive options. 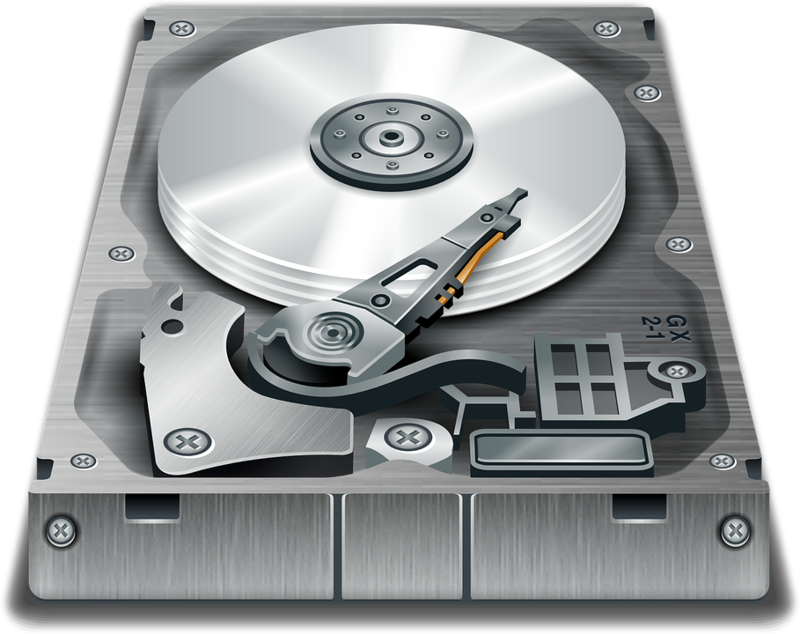 HDD’s are less expensive, so the Hybrid Drive combines the speed of the SSD while also having the cost efficient storage capacity of HDD’s. Basically, it is not as great as what the iMac Pro has. The best Surface Studio has a hybrid drive with 128 GB SSD and a total of 2 TB HDD. iMac Pro – When looking at this thin and lightweight computer, you may be wondering what the display is and how big the screen is. The screen gives you 27 inches to work on, with a 5K IPS display. This can be wonderful to work on for animators and the like. It is actually one of the most accurate 5K Displays that you could buy, with a wider P3 color gamut than most products. It also has 500 nits of brightness! It truly is glorious to look at and think about. Imagine animating on that! One big disadvantage of this device is that it does not have ANY touchscreen abilities, unlike its competitor. A lot of people prefer touch screen for efficiency and speed. This may not be a deciding factor, but it does aid in the work of artists, plus it does have its benefits. 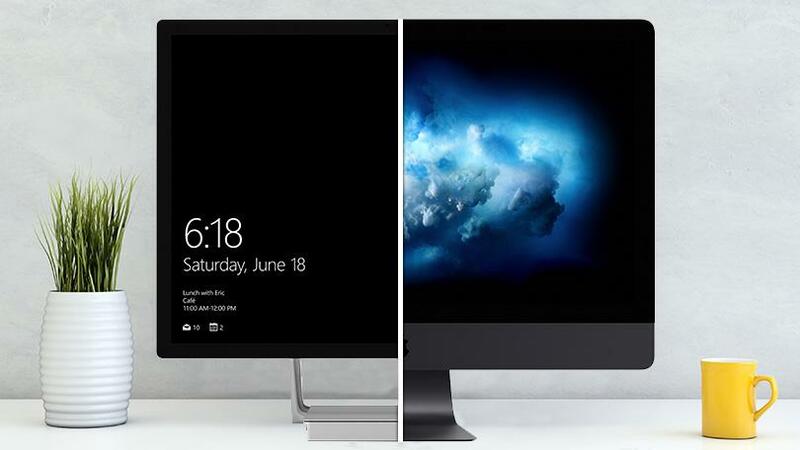 Surface Studio – The Surface Studio has a display that is bigger by one inch, making it 28 inches. It is in the 4.5 range of resolution, 4500 x 3000 pixels, which is slightly worse than the iMac Pro, but is still fairly good. It also is touchscreen and has two accessories that can be used on the touchscreen; the Surface Pen and the Surface Dial, which greatly benefit any graphic designer or artists. As I have mentioned, it is designed for professionals with graphic designers in mind, though not purely to them. It also has a 3:2 ratios, and many prefer that if they are designers. It does lack the same level of brightness though, so keep that in mind if you are desperate to work out in broad daylight. Granted, it is not less by much, but it only has 354 nits. Winner of this round: It is all about personal preference and how exactly you intend to use the device. Both are pretty impressive, though. Both of the devices require a great amount of horsepower to ensure that the displays are effectively used and continued. This is extremely important if you want to make sure that your display is kept up. A lot of people look for a good graphics card in the device they are planning on buying. iMac Pro – Apple decided to go all out to keep the graphic processor unit powered as well as possible. 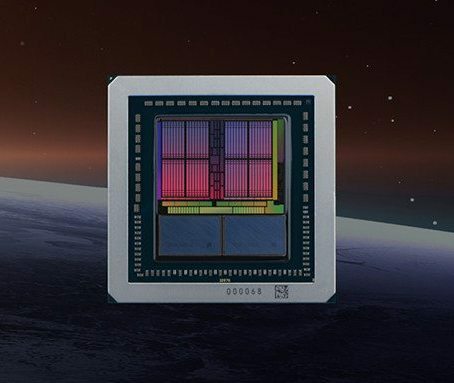 To make sure that the computer could handle the hard and strenuous tasks, it is powered by a AMD Radeon Vega 56 workstation-class graphics processor. This processor even gives it 8 GB of HBM2 memory. Without even having to look at the other device, it is clear who the winner is here. Surface Studio – While the graphic processor unit is powered by a weaker processor, it is still worth mentioning. Microsoft gave the device a NVIDIA GeForce GTX 980M graphics chip with only 4 GB of GDDR5 memory. It can still be seen as impressive, but is overshadowed by the power that Apple gave the iMac Pro. This one is obvious, so I will keep it quite simple. iMac Pro – Powered by an Intel Xeon processor with 8, 10, or 18 cores. For an all-in-one computer that is truly amazing. Surface Studio – A quad-core Intel Core i7 6820HQ Skylake chip. 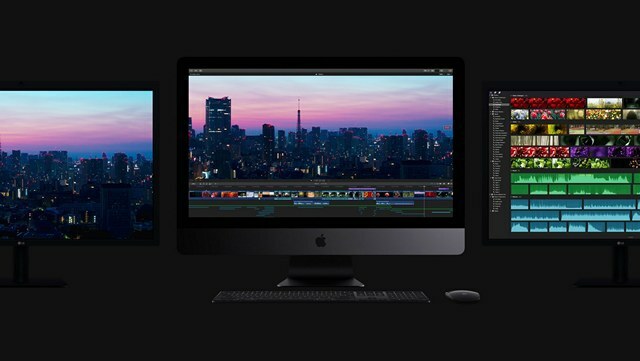 iMac Pro – To help ensure that the iMac Pro is thermally regulated, and does not overheat, it is powered by a system that is new to the iMacs and has not been used by the preceding iMacs before. The heatsink is huge and comes with two blowers, ensuring that the machine is cooled better, faster, and even has some added ventilation. Compared to the other iMacs, this has a 75% improved airflow rate, which is a quarter away from being double the original airflow. Considering how much money the computer costs, as well as how much it is expected to do, it makes sense that the company would work hard on keeping it cool. If it overheated, causing parts to malfunction or melt, that would cause quite a stir among customers. Surface Studio – As mentioned in the design part, the hardware for the Surface is actually in the base unit, rather than behind the display. This change actually helps with cooling, as it ensures that the display panel cannot heat up. While it protects the display, the thermal system is not much better than that of a very good laptop. For an all-in-one computer you would expect them to go to the same lengths as Apple did, but they simply moved the issue to the base unit instead to protect the display panel. iMac Pro – While I did mention this earlier, I do think it is worth mentioning again. The iMac Pro is almost a whole year more recent than the Surface Studio, so it did have time to improve on whatever Microsoft may have been able to do better. The iMac Pro will be released this year, December of 2017 to be more specific, but I am not sure the exact date. The fact that it is more recent can actually make a difference, and it also raised expectations. While we do not know exactly how long it was in development, we do know that it could have had time to make adjustments. This time difference could favor Apple. 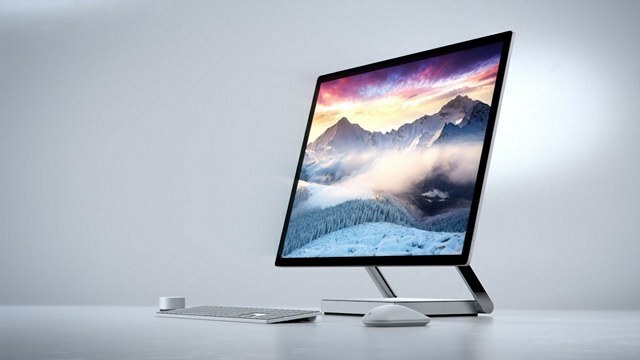 Surface Studio – Microsoft had released its Surface Studio at the beginning of December in 2016, which makes it around 7 months old. Yes, I know that is not a full year, but it can be assumed that the Surface Studio was released earlier and could, POSSIBLY, be even the tiniest bit outdated. No, I do not know for sure, but I thought it may be important noting for the sake of this side-by-side comparison. If you do not agree, then I am sorry, it is just my opinion. iMac Pro – The iMac Pro has yet to be released, as it was only first mentioned at WWDC 2017, but it has been stated that it will be released this December. When it is released we will know the exact pricings of the different models, the high end version and the original, as we only know the starting price. The starting price is a startling $4999, but it is for professionals and is worth the money if you consider the abilities that it possesses. Given the storage, quality, graphics, and so on, it seems like a fair price. I am not too experienced in pricing products like this, so I would not know for sure, but it does sound like it could be worth it for a professional looking to increase their productivity and quality. The full, high-end iMac could cost over $17 thousand though, so that is quite shocking. Surface System – The Surface System has been out since December 2016, making it almost a full year old, so, obviously, the price is much lower. It is not brand new and seems to be at a more reasonable price. The pricing for a Surface System starts at $2999; without the special Surface Dial, which is an extra $100 if you do plan on getting it. As it is a lower price, it comes with less features, an Intel Core i5 processor, 8GB Ram, 1 TB Hybrid drive, and an NVIDIA GeForce GTX 965M. The best version of the Surface System costs $4199 and has a machine packing Intel Core i7-6820 Skylake chip, 2 TB Hybrid drive (a whole TB more), 32 GBs of RAM (4x more than the lower priced version), and an NVIDIA GeForce GTX 980M GPU. Do you think that is worth the price jump? I’m curious. While the best Surface System ($4199) costs $800 less than the starting price for the iMac Pro ($4999), it cannot quite compete with it fairly. The extra $800 really makes a difference on the machine, as it is chalk full of features and high quality hardware. If you want to look at them based solely on design and the ability to move, then the Studio Surface would be the winner for that. 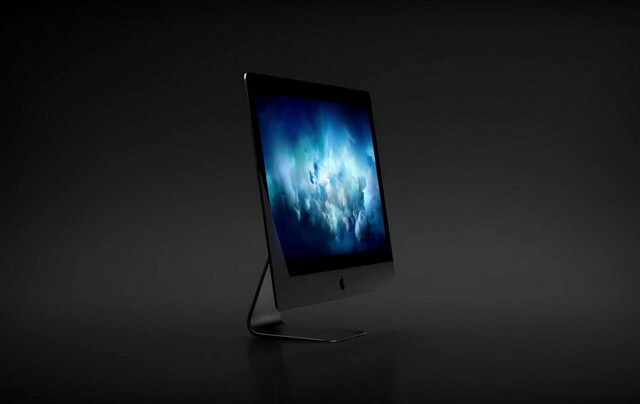 As mentioned earlier, the Studio Surface has a 28-inch touchscreen and the iMac Pro only has a 27-inch display. One inch is not major, but it could make a difference for animators and people needing more display. The Studio is also 0.5 pounds lighter, if that makes any difference in your decision. So, drum roll please. The final winner is… The iMac Pro! But, I guess we’ll have to wait and see for sure when it is released and able to be tested. For now, though, we can assume that it will be better for the price that it is. If you want quality and amazing performance, then you should aim for an iMac. If you are a graphic designer or artists, then I would suggest going for the Surface since it comes with accessories that help artists specifically and just seems like the better option due to its settings and design. Great article, I enjoyed reading that. I’m very curious as to when Microsoft plans to release the Surface Studio 2. i know it’s only been in Europe a few months since it’s release, but it has almost been a year since it’s been out initially.